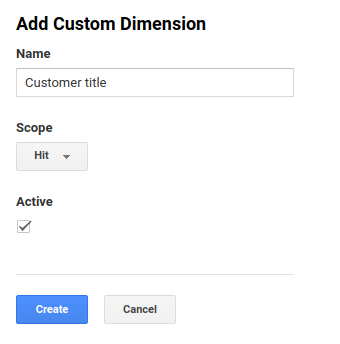 This article will show you how to setup Custom Dimensions for your Google Analytics account. 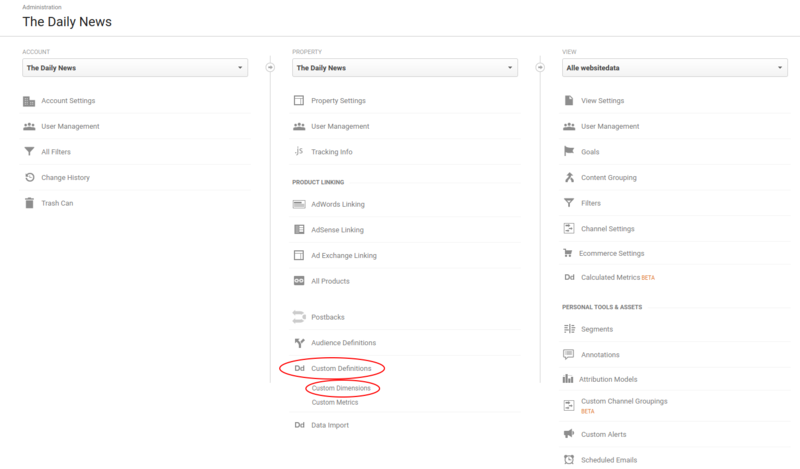 Follow this guide to set up the Custom Dimensions for your Google Analytics account. 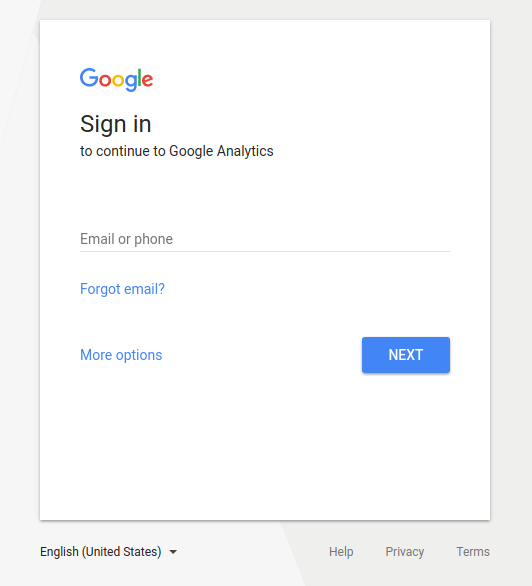 You will now be able to see the accouts you have access to. 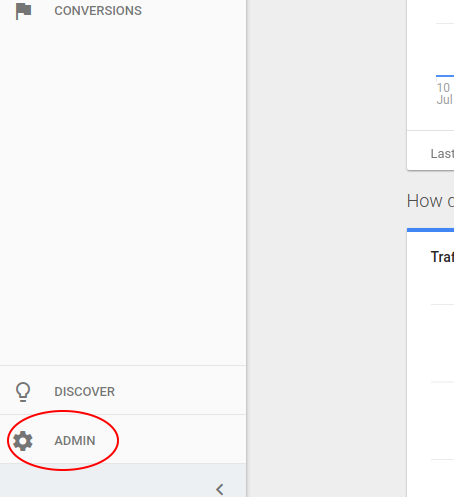 Press 'Admin' in the bottom left corner. 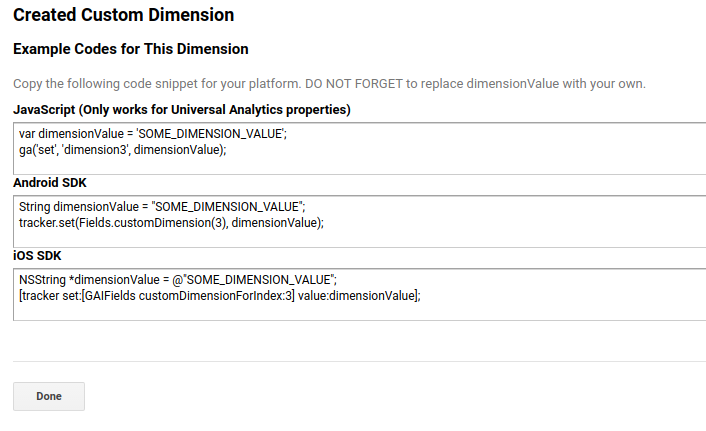 You are now ready to create the new Custom Dimensions. 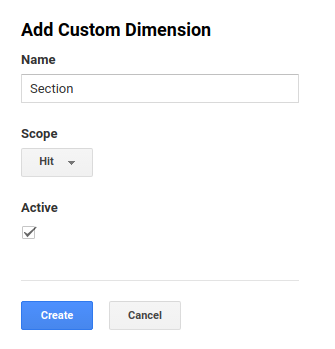 Press 'New Custom Dimension'. 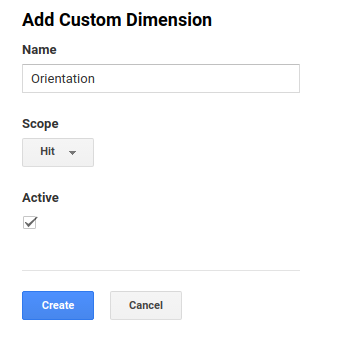 You are going to create 6 new custom dimensions. It is important to create them in the same order and with the same names as this guide to ensure the data quality. 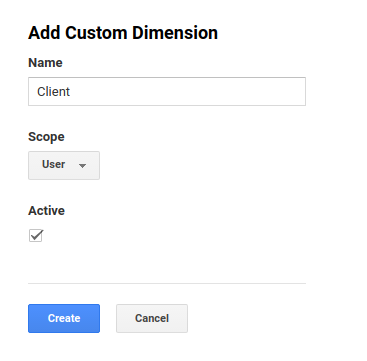 The first dimension is Client, which requires ‘User’ as Scope. It has to be set to active. 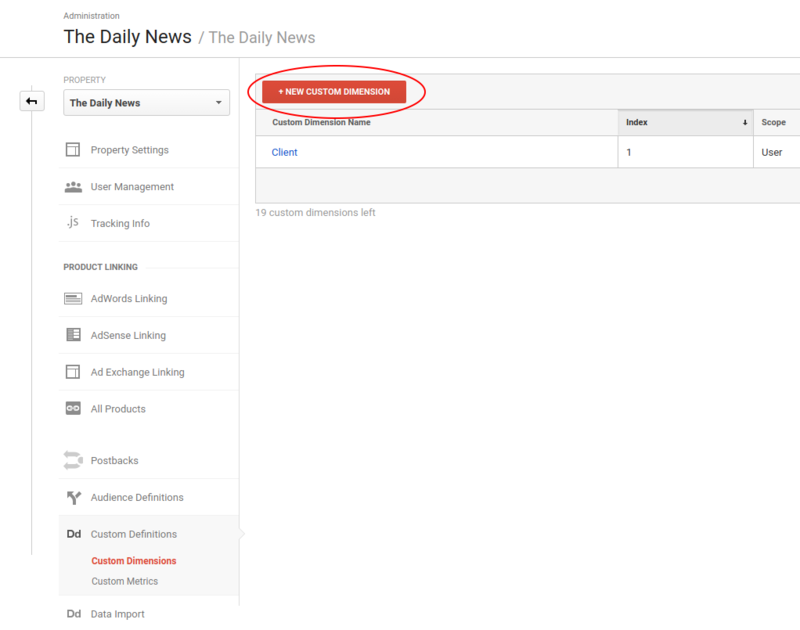 Press Create and you will be shown a code example. Simply ignore the code example and press ‘Done’. You have now created the first Custom Dimension. It should look like this. 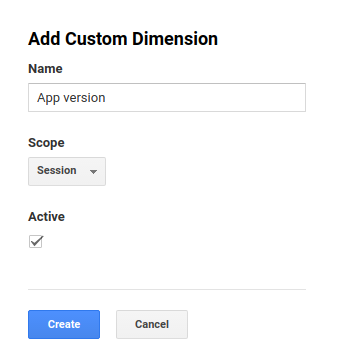 It is time to create the next Custom Dimension. It must be named ‘App version’ and should have Session as its Scope. It must be set to active. Press ‘Create’ and then ‘Done’ when the code examples are shown. 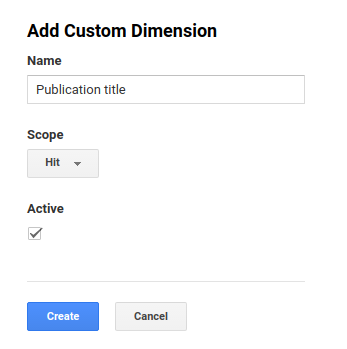 The next Custom Dimension is 'Publication title' and is created the same way as the two first Dimensions. Be sure to set Scope to 'Hit'. The next Dimension is Orientation and it is created the same way as the preceding ones. Be sure to set Scope to 'Hit'. The next Dimension is Section and it is created the same way as the preceding ones. Be sure to set Scope to 'Hit'. The last dimension is Customer title and it is created the same way as the preceding ones. Be sure to set the scope to ‘Hit’.